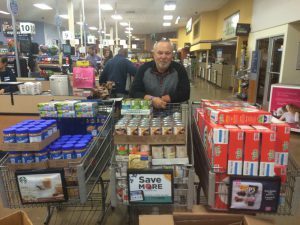 Hunger is a serious problem in Food Bank CENC’s 34-county service area year-round, but the holidays are an exceptionally difficult time to be without. The Food Bank works with our more than 800 community partner agencies to distribute millions of pounds of food each year, and we know it’s still not enough. Fortunately, this December Food Bank CENC was able to give a little more to some of our partner agencies who spend their holidays giving back. A selection of our partner agencies participate in our Retail Donation Program: Food Bank CENC staff assign partner agencies to pick up food from local retail partners (such as grocery stores) within their own community. The food items picked up no longer meet the stores’ standards for selling, but are still safe and nutritious to eat. Agencies pick up donations upwards of 7 days a week and receive items such as high-protein meats, fresh produce, dairy, bakery items, and other essentials. Food Bank CENC is able to reach more stores, pick up and distribute more food, and provide more meals than our trucks alone ever could! In the spirit of the holidays, our Retail Donation Program Supervisor Caitlin Cohn came up with a special way to thank these partner agencies for expanding our hunger-fighting capacity. 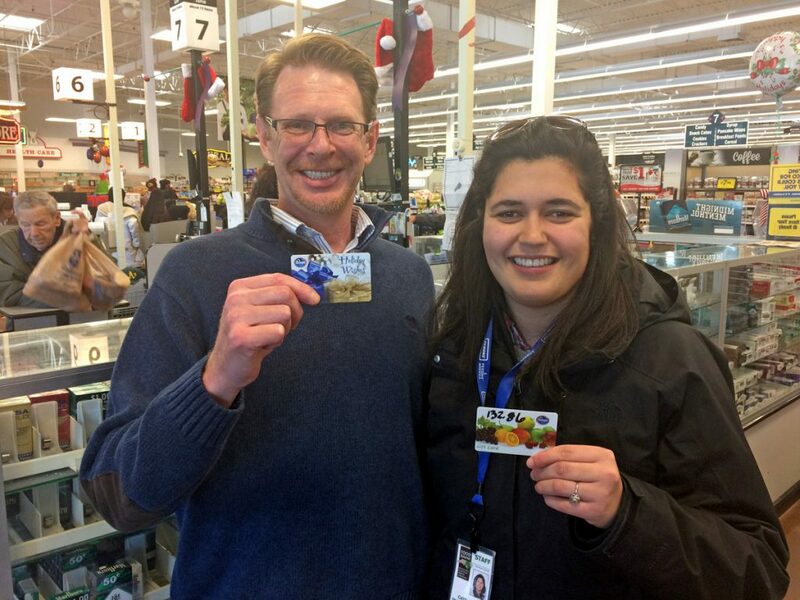 Armed with plentiful Kroger gift cards and an urge to do something special, Caitlin contact each agency that picks up at a Triangle-area Kroger store, and treated them to an end of year shopping spree! When picking up donations from grocery stores, partner agencies don’t always know how much food they’ll be receiving that day as it’s based on what items the store did not sell the day before. 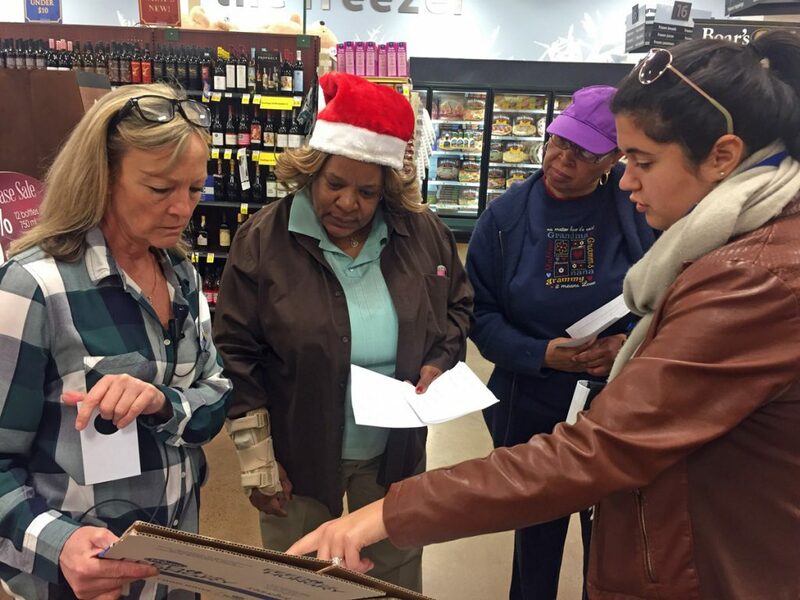 But the shopping sprees gave the partner agencies the power to purchase foods and beverages of their choice, fill specific needs, and stretch their own limited budgets as the year comes to a close. For example, the good folks at TROSA were able to stock up for their annual New Year’s Eve fete. The shopping spree also allowed the food pantry at UMOJA Central Seventh Day Adventist Church to distribute special holiday food boxes to the 200 families they serve monthly. By researching sales and planning a shopping list, they were able to get the most out of their shopping. In total, Caitlin took 12 partner agencies on a Kroger shopping spree, including the Salvation Army of Wake County, Urban Ministries of Wake County, Durham Rescue Mission, With Love from Jesus Ministry, Fuquay-Varina Emergency Food Pantry, Community of Hope Ministries, The Capital Church, Progressive Teamwork Outreach, Millbrook United Methodist Church, and The Point Church. 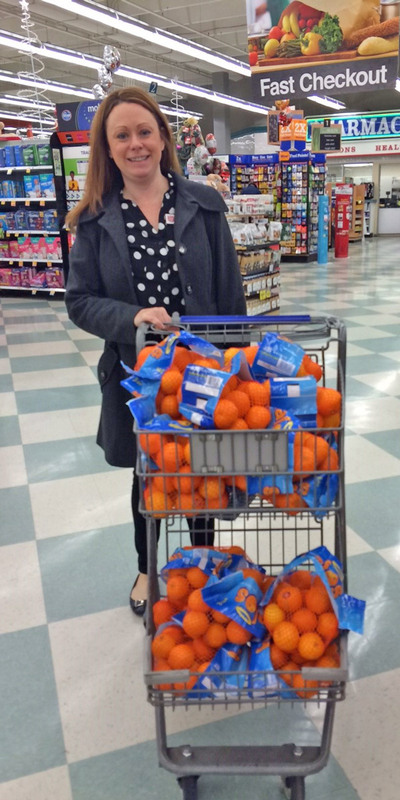 “It’s cool to think that every can of soup we picked up is going to be some child’s after school snack, and each bag of flour is going to be used to help bake something together for a family,” said Caitlin. “When we hand food out, there are people who tell me how thankful they are, because they were so close to needing to choose to pay for their medicine, instead of food. And now they can have food,” said UMOJA’s Sister Marionna Poke-Stewart. 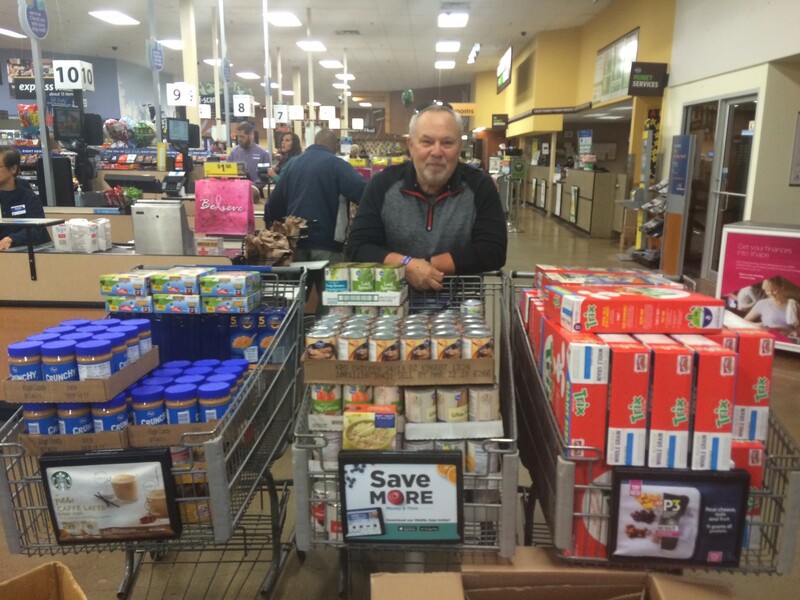 You too can ‘grocery shop’ for one of our partner agencies, by using our Virtual Food Drive.